Fassler Marketing is now Alloy Six! Please be patient as we update our website. In the meantime, we’re still operating business as usual. Creating beautiful websites to help companies grow is what drives us. Make sure you have a website and a digital strategy to match. Built on WordPress, customized to meet your needs. WordPress is the most popular CMS platform and provides options to build robust websites with options for customization to include the features you need. Build an app for your business to expand your presence. 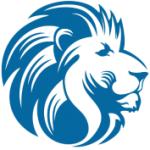 Alloy Six does UI/UX design and partners with Lions Den Mobile for app development to create app solutions that works for your business. Synchronize your marketing efforts to maximize your results. With a degree in Marketing and over 13 years experience in the field, Alloy Six can hep you develop your marketing strategy. Customized presentations for your meetings. We develop customized presentations to wow your audience and make an impression that sticks. Built on multiple platforms, specializing on WordPress. Sometimes a company needs something simple or a full website with a custom design. We worked with these clients to meet their needs and help them get to where they want to go and put a smile on their faces! Alloy Six has developed partnerships with other agencies, marketers, developers and designers in order to provide the most value for our clients. By working with us, you can get the benefit of many years of experience in a variety of areas at an affordable price.